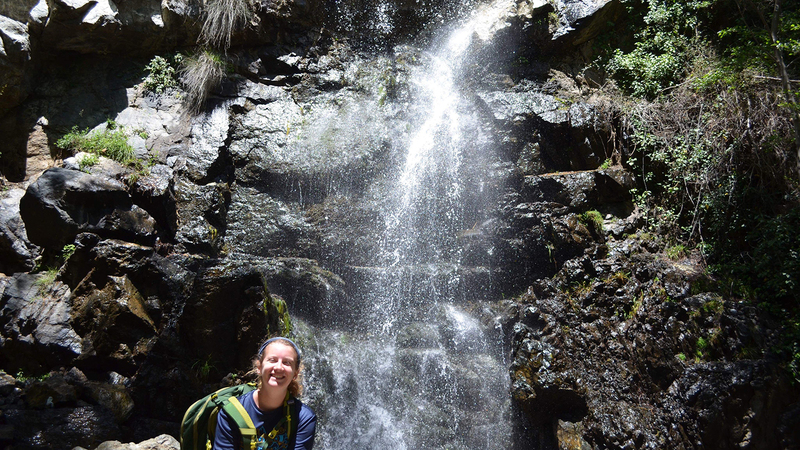 Over the summer, Christa Parrish ’21 ventured out to the Mediterranean for climate change research with the Cyprus International Institute for Environmental and Public Health. 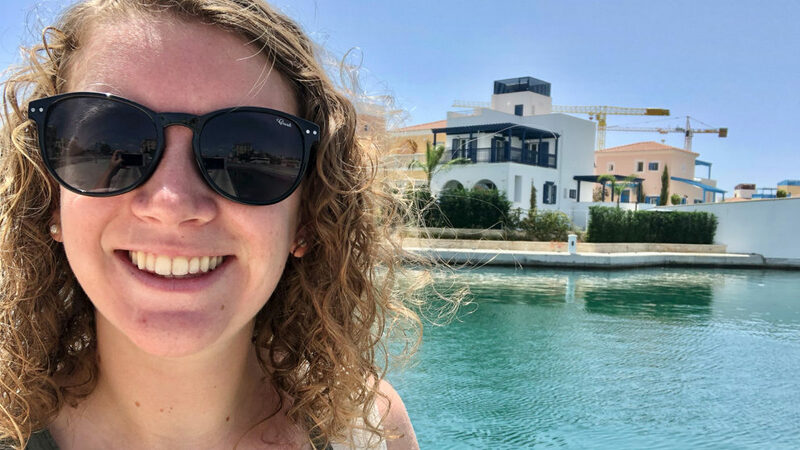 After 10 weeks in the Mediterranean assessing environmental exposures that are influencing climate change in the basin, Christa returns home to North Carolina and shares some lessons learned with us. Was her time abroad life-changing? Of course. Is she done seeing the world? Far from it. Goodnight Scholars Program: Tell us a little bit about how you discovered this research opportunity. Christa Parrish ’21: Believe it or not, it was mostly random. I had met with Dr. [Tiffany] Kershner at the Fellowship Advising Office (FAO) just to introduce myself and see what kind of opportunities the FAO could provide, and I mentioned to her how my desire travel felt stifled by the pressing need to participate in undergraduate research during my summers. She suggested that I begin to search for research opportunities abroad, which had never occurred to me! After a large number of emails, Google searches, and dealing with some rejections, this opportunity at the Water and Health Lab fell into place. Did you have any international travel experience prior to this research opportunity? I did. I am unbelievably fortunate to have a community of friends and family members that support me, and through them and some work of my own I was able to travel to Senegal, Slovakia, and Hungary during my high school years. Prior to this summer, I had never traveled alone, but those experiences laid a solid foundation for how to take care myself without the familiarity of home. What were you most excited about going into this research? I was excited about being in a new environment, physically and academically. The work I’ve done this summer was nothing I’ve ever done before, and the ways the laboratory operated was very different from any lab I’ve ever worked. Every day was a new opportunity for development. I’ve always been very confident in my ability to learn quickly and effectively and that was more than put to the test in the last two months. Anything about this research opportunity make you nervous or anxious? Making friends! I think there’s a lot of value in the strength of the community around you. Coming to a new country and living by myself were breeding grounds for isolation of sorts, and I knew that if I wanted to create a community here I would have to put in a good amount of work. What did you end up learning about yourself? I probably learned something new about myself on a daily basis. Most of them were good things—that I can push through difficult problems, that I can learn things outside of my major and not fail miserably, and that the grit and grace I possess as a woman in STEM is a valuable combination. Some of them, though, were unfortunate wake-up calls. Regardless of a mildly painful realization, I grew so much in the process. I am unbelievably excited to take an interdisciplinary problem-solving approach back to my research at State. One of the most important things I’ve learned here is that if you limit your research approach to one field, you’re going to miss out on so many important solutions.